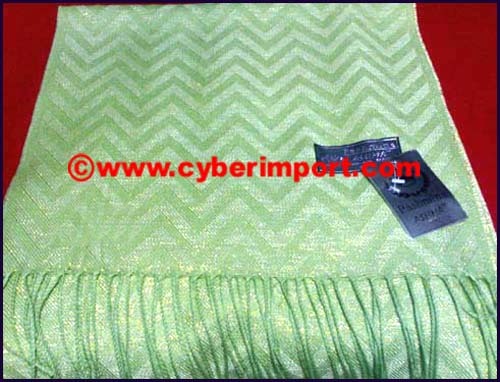 clsw035 $1.81 200pcs/Style 200 27" x 72"
clsf002-3 $6.67 30 230 76" x 31 1/2"
clsf002-4 $6.67 30 230 76" x 31 1/2"
100% Nylon. 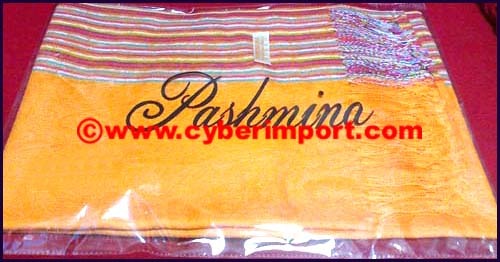 Pashimina Label, but obviously a high-tech textile faux product. 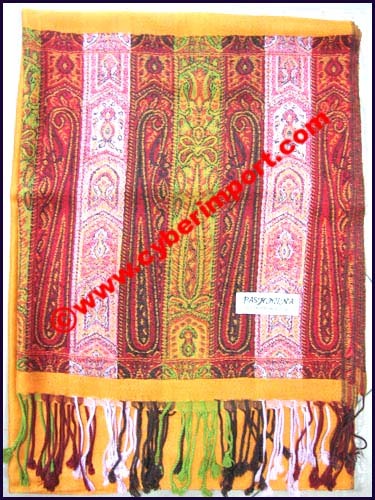 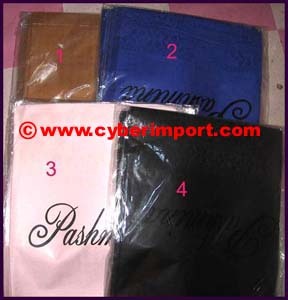 Great shawl at really low price. 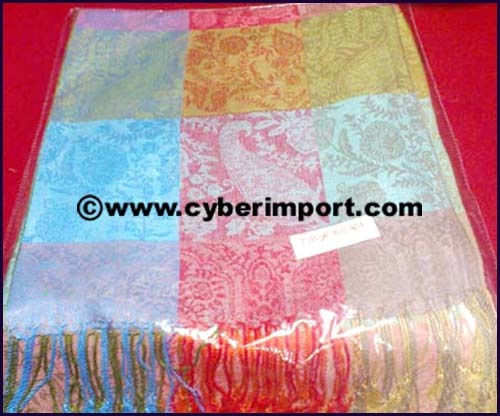 clsf033 $1.55 10 124 26" x 60"
clsf034 $4.21 10 118 26" x 60"
90% Nylon, 10% Silk. 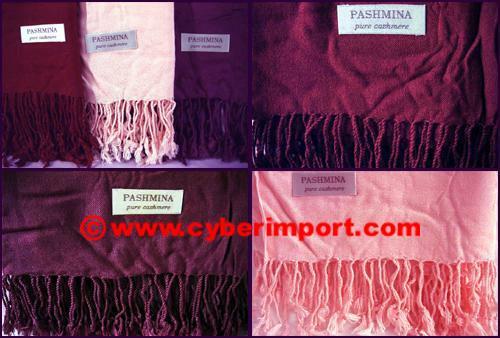 Pashmina Label, but obviously a high tech textile faux product. 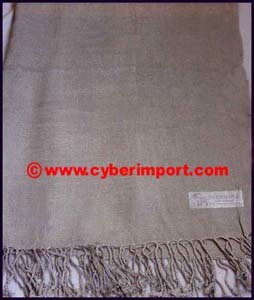 clsf035 $2.20 10 128 26" x 68"
clsf036 $4.02 10 72 25" x 60"
clsf037 $3.38 10 62 21" x 60"
clsf038 $2.56 10 98 80" x 27"
Pashmina Label. 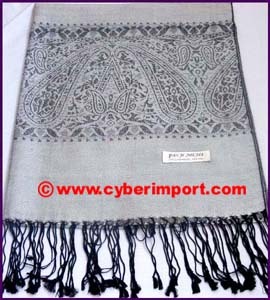 Great shawl at really low price. 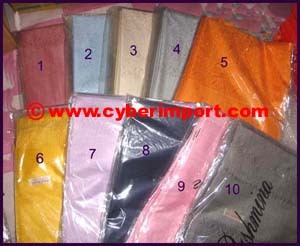 clsf039 $1.55 10 102 75" x 27"
clsf040 $4.39 10 116 75" x 26"
clsf041 $2.20 10 112 79" x 29"
clsw003 $3.65 10 108 29" x 66"
clsw004 $2.43 10 144 26" x 68"
clsw005 $1.27 10 166 33 1/2" x 76"
clsw008 $3.33 10 98 67" x 25"
Pashmina Label. 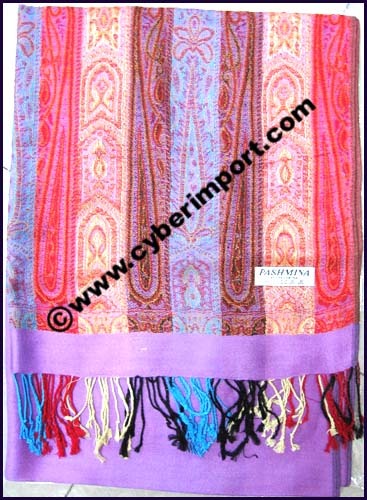 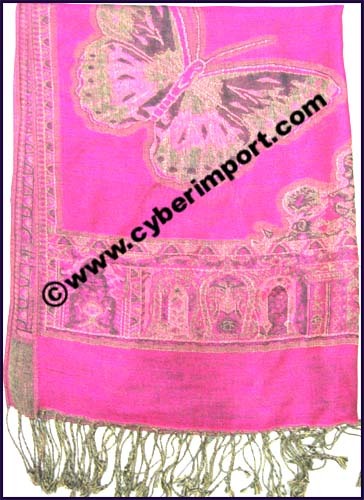 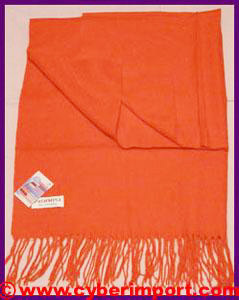 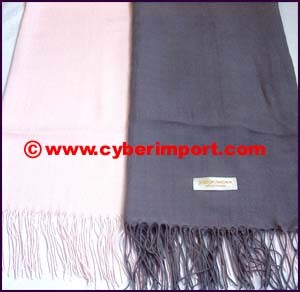 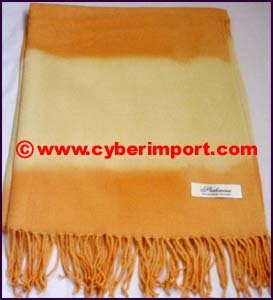 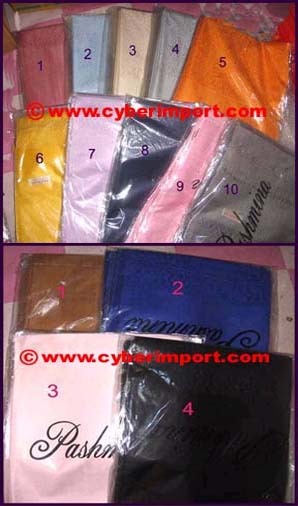 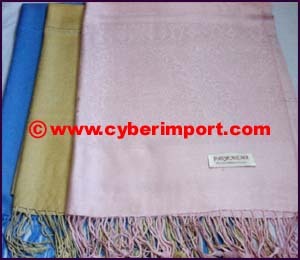 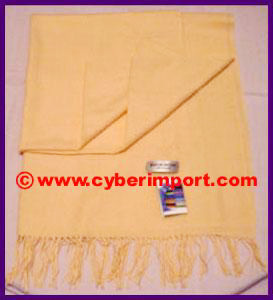 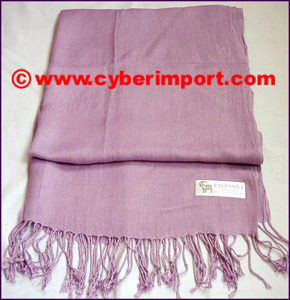 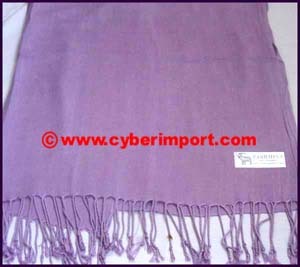 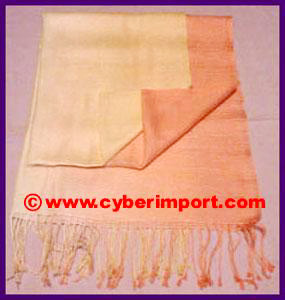 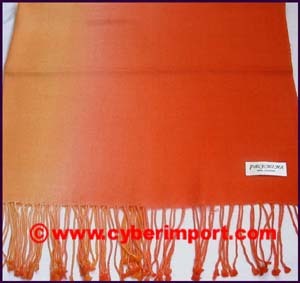 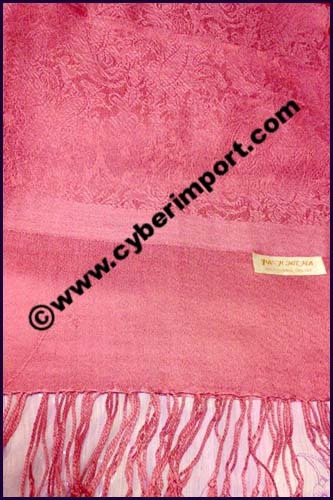 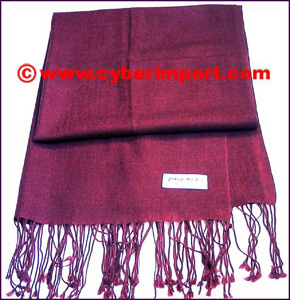 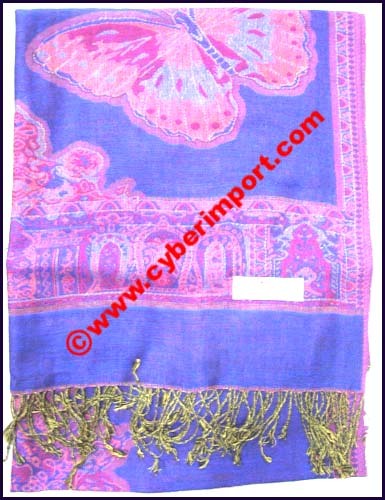 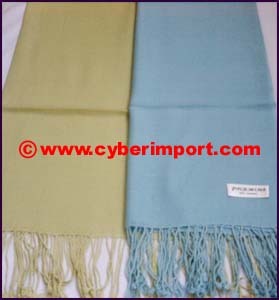 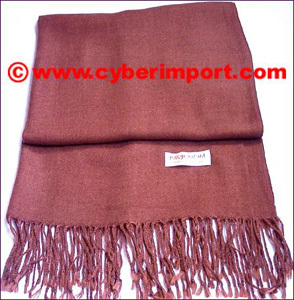 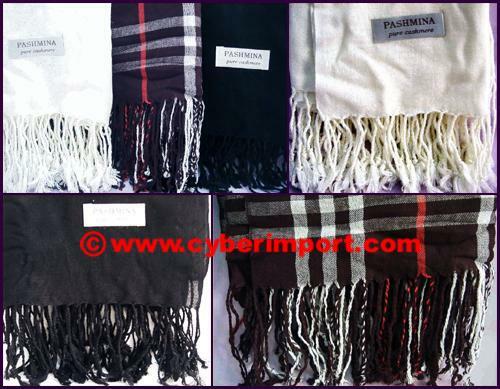 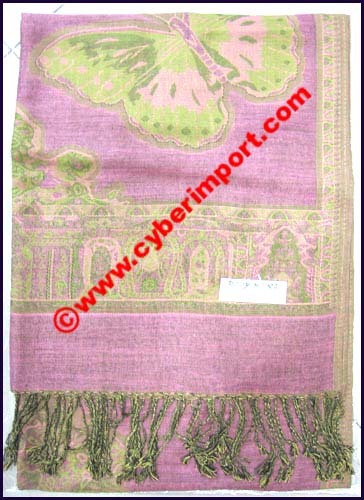 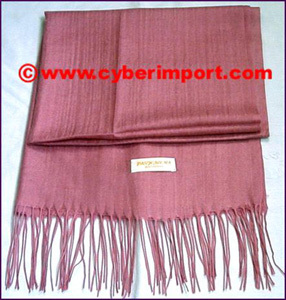 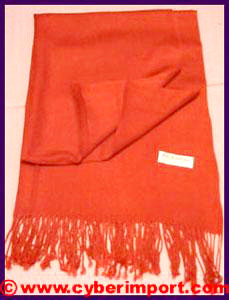 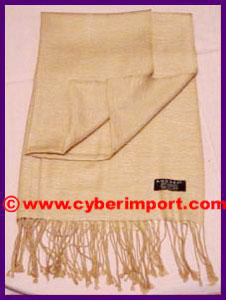 Cashmere: 70%, Silk: 30%; Fringe: 4"
clsw014 $2.43 10 136 70" x 27"
Pashmina Label. 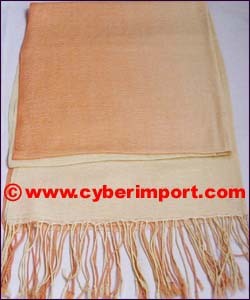 Cashmere: 45%, Lana: 55%; Fringe: 3 1/2"
clsw015 $2.38 10 122 72" x 27 3/4"